Baglioni Hotels is about to land in the Maldives with the opening of Baglioni Resort Maldives. Located on the island of Maagau, in the Dhaalu Atoll, this exclusive resort of 96 villas surrounded by turquoise water, velvet white sand and the tropical nature of one of the most spectacular Maldivian islands, will allow guests to experience a bespoke stay in the heart of the Indian Ocean with the unique italian hospitality of Baglioni Hotels. Villa Gallici is a beautiful retreat built with local stones hidden among rose laurels and lavender where cicadas are singing: it is on this place that three friends, Daniel Jouve, Gil Dez and Charles Montemarco, all of them aesthetes, decided to build the Villa Gallici. The moment the Villa Gallici opened, its international train of visitors made it soon famous. At present, the Villa Gallici is the preferred retreat for celebrated people. During the Opera Festival, you can meet there the most famous conductors as well as many artists. 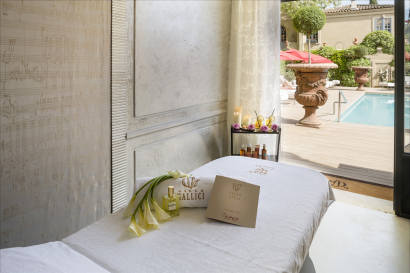 In 2015 Villa Gallici has been object of renovations works that included the creation of a new Spa, a Solarium and a Wine tasting cellar. Villa Gallici is a 18th century Provençal house rich in antiques, fabrics and sumptuous in every detail. 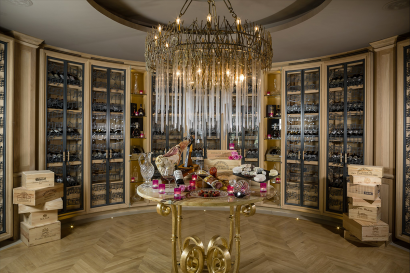 In this splendid enchanting residence where time seems to have stood still, you can experience a truly exclusive getaway where history and nature merge to give rise to unique emotions and atmosphere. Breakfast, dining, teatime, sleeping, the retreat of the poolside: every experience here has a charm of its own. 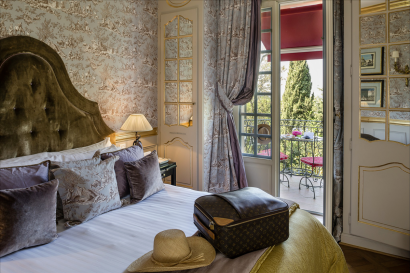 Located in the heart of Provence, close to principal attractive villages like Cassis, Gordes, L’Isle sur la Sorgue and Avignon, Villa Gallici is a short distance to the town centre of Aix-en-Provence, the ancient and famous city founded by the Romans. Surrounded by the enchanting scenery of Provence, a warm refined welcome awaits guests among the noblemen’s mansions and castles. Aix-en-Provence is the place where the famous painter Cezanne was born, and whose colors inspired him to start painting. It is a city full of art and history where life takes place mainly outdoors, also thanks to the mild climate, in the typical squares, cafes and street markets. 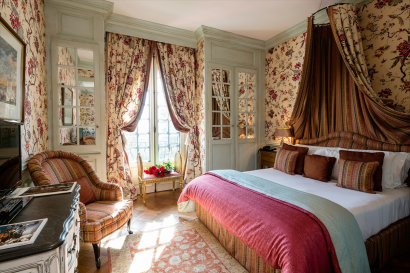 After a visit discovering Aix architectonical beauty and fountains (and tasting the delicious Calissons), the city is the perfect base for a lavender tour or to discover the surroundings region with its villages, castles and vineyards. During a stay at Aix-en-Provence you cannot miss a visit at the Cezanne studio, 10 minutes walks from the hotel. If you book the “Cezanne and his world of painting” experience the visit at the atelier is included together with a tour on the footstep of the painter. 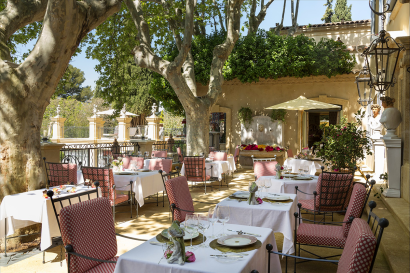 Eating at La Villa Gallici’s gourmet restaurant, beneath the plane trees on the terrace, is an experience that is worth a visit at La Villa Gallici. 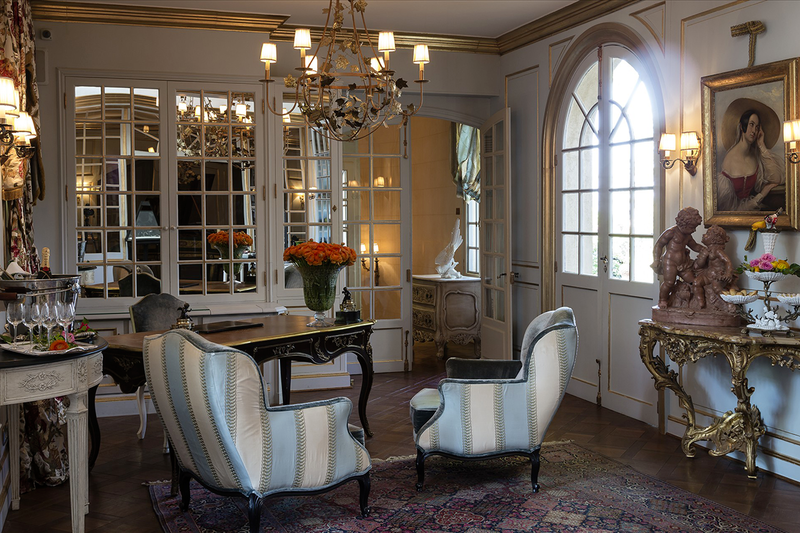 A “home from home” spirit with velvets, canopies, damask fabrics, elegant wing chairs and filtered lighting is the overwhelming style found in La Villa Gallici’s rooms. 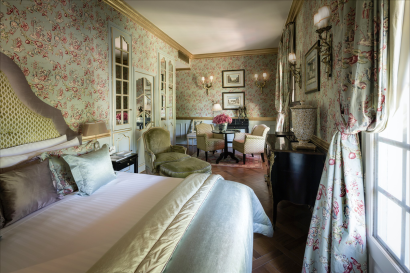 The rooms’ interior design immerses you in a highly romantic atmosphere, between Rococo and Baroque, enhanced by the view over the garden scented with lavender. 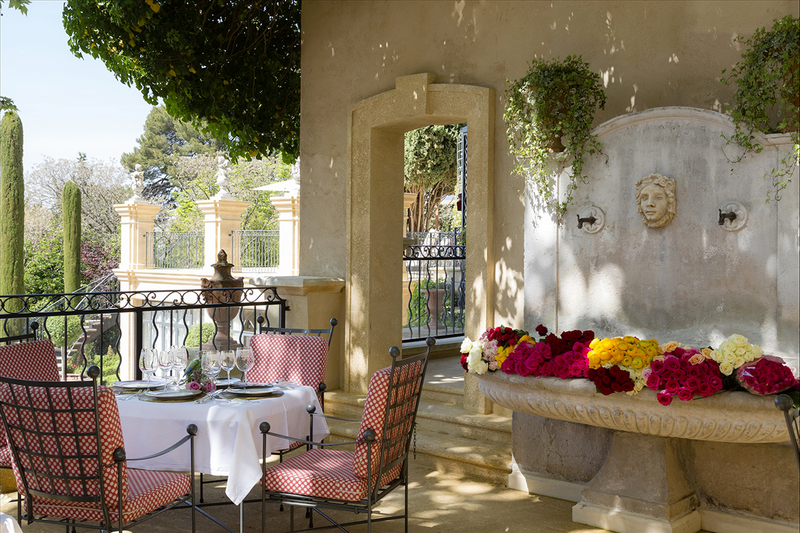 The suites offer a private garden or terrace overlooking the large grounds surrounding the villa. • 3 classic rooms, garden view, balcony. • 1 superior room, garden view, balcony. • 7 deluxe room, garden view, private balcony or terrace. • 6 junior suites, garden view, private terrace. • 6 terrace suites, garden view, private terrace. The restaurant offers a rich menu consisting of local Provençal, French and Mediterranean cuisine by Chef Christophe Gavot. 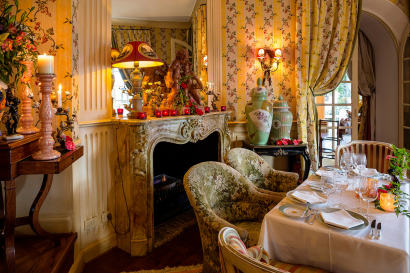 In Summer, meals are served under the plane trees on the terrace or by the swimming pool, and in Winter in the elegant dining room or beside the windows or fireplace. 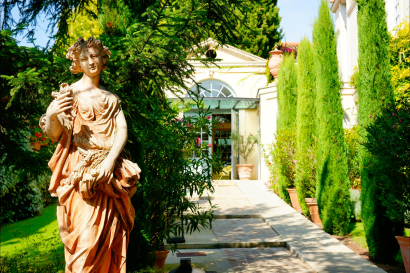 Heated swimming pool dipped in a private garden by flowers and secular trees, surrounded by sculptures and reliefs, Spa with jacuzzi, cryotherapy and sauna, fitness centre. Mediterranean cusine, lunch on the terrace, private swimming pool, exclusive setting for your guests on the occasion of private parties and celebrations. The glow of candles is reflected on each table in the cozy dining rooms, where dinners is shared between family and friends seated on large sofas. 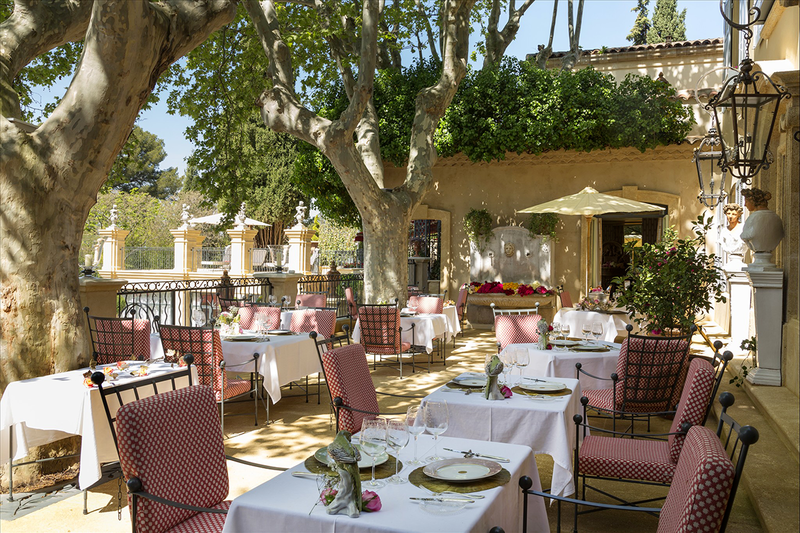 During fine weather, the terrace, protected from the sun by trees, is a perfect setting to welcome-your guests for cocktails or banquets. 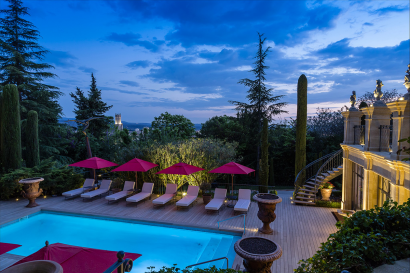 An omnipresent nature: 3- hectare garden and a private swimming pool where the century old cypresses are reflected. An emotional and magical place, ideal for cocktails and appetisers. This property can be rent for exclusive use upon request for meetings, weddings and private gatherings. 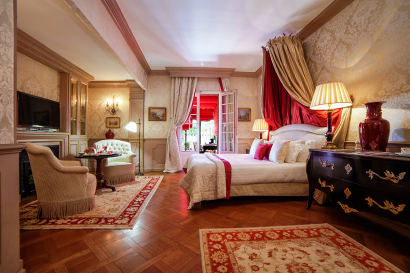 • CNN.com : one of the 20th best hotel in Europe.